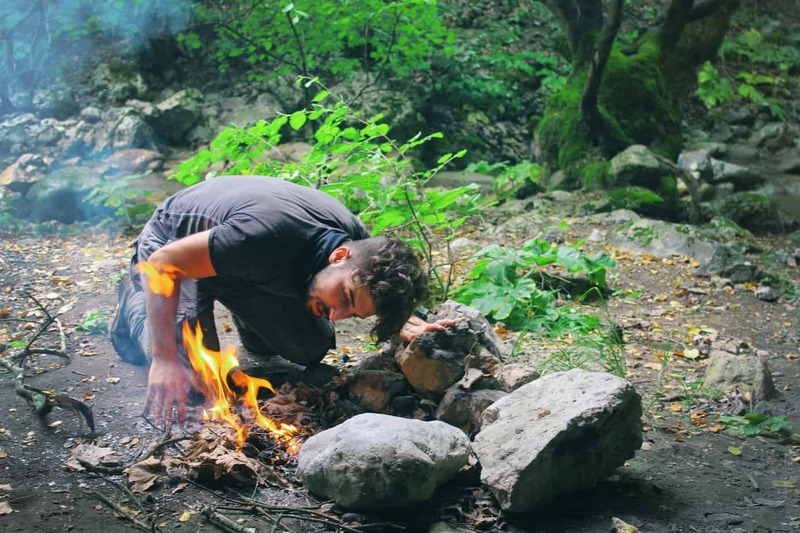 » Kelty Redwing 50 Review [2019 Update]: Is this pack Worth it? Kelty Redwing 50 Review [2019 Update]: Is this pack Worth it? The Kelty Redwing 50 is a lightweight backpack that can do a little bit of everything. It can rough it in snow or sun, but be careful about rain, as it’s not waterproof. This pack is a definite four-seasons pack that is perfect for a wide variety of activities, from short backpacking trips to cross-country skiing. The ergonomic straps make for a comfortable fit that can be adjusted to fit your form, provided the right size is purchased. The option for a hydration pack via a hydration sleeve is a smart addition to make staying hydrated during your travels easy and accessible. With a solid structure and a wide variety of organizational pockets – “stash pocket” options – and loops, this pack is perfect for traveling or casual outdoor activities, such as hiking and rock climbing. The sleek clean design of the Kelty Redwing 50 has great color options and light material, rendering the pack stylish as well as functional. The Kelty Redwing 50 is a great backpack for those who enjoy casual outdoor activities, but want also want a pack that has the flexibility to adapt to different situations. 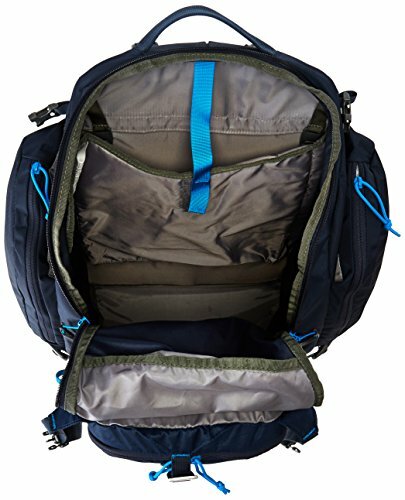 As mentioned earlier, this is a pack that can do a little bit of everything, making it great for people who like to explore and travel. Waist Sizing: Only one size (waist belt “fits all”). Ideal for waist lines less than 40 inches. For a lightweight pack, the Kelty Redwing 50 can fit a surprising amount of gear. The number of pockets (both interior and exterior) is a great addition when it comes to keeping the smaller stuff separate and organized, while maximizing on the space that the pack offers. A vertical daisy chain lends room to grow, as you can clip on more gear if needed. As far as personal packs are concerned, you should be able to pack enough for a two-week trip, if you pack on the lighter side. This pack definitely will not pose any issues, space-wise, for weekend backpacking trips or the likes. The Kelty Redwing 50 is not nearly as accessible as other packs on the market. The front panel opens about ¾ of the way, leaving gear at the bottom of the pack difficult to reach. It is recommended that you don’t pack loose gear or clothes in this bag if you are looking for easy access. Instead, pack your gear into smaller bags that can be easily removed. To make up for this lack of access, the Kelty Redwing 50 does have a lot of pockets that are easily accessible, both on the interior and exterior of the pack along with gear loops. This is a great area to store smaller items, such as travel documents, sunscreen, phone…etc. With this, the Kelty Redwing 50 adds a component of organization that would otherwise be lost. Unfortunately, the Kelty Redwing 50 is not a waterproof pack. Without a rain cover, your gear is bound to get wet in rougher conditions. Luckily, there is an available rain cover that is compatible with the pack, but it must be purchased separately. It really depends on what the desired use for the pack is. If it is being used as just a casual travel/hiking backpack, you probably don’t need the rain cover. However, for more extensive trips, it is highly recommended. Overall, the Kelty Redwing 50 is a comfortable backpack that is highly adjustable. It has padded shoulder straps and hip belt, which keeps the pack from digging into your skin. 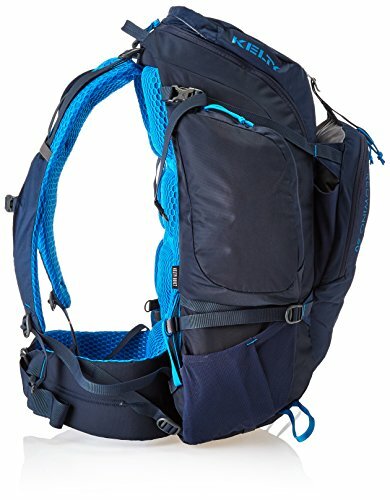 Additionally, it has some excellent load stabilizing compression straps and great airflow behind the back making this pack great for hiking and climbing trips. The issues with the Kelty Redwing 50’s comfort begins with the adjustable features. The single aluminum stay can dig into the back if not adjusted properly and it can be tricky to find the right curvature if the frame isn’t right for you depending on your torso length. The hip belt comes in different sizes as well, so be sure to make sure it’s the right fit before purchase. If it’s not, they should be available in smaller or larger sizes, but options are limited. There have also been issues with the shoulder straps being too close together causing them to dig into the users neck. Ultimately, this is a pack you need to try and be prepared to return, just to ensure that it is the right fit. 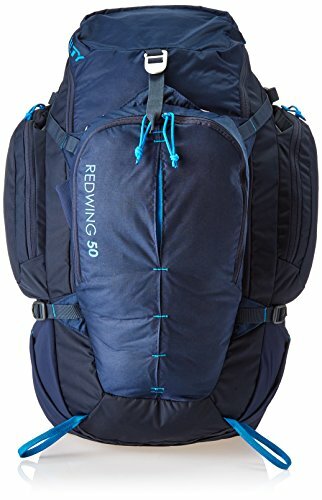 The Kelty Redwing 50 is a pack that is designed to carry large amount of gear in a comfortable and organized manner. Its versatility allows it to function as a travel and outdoors pack. External compression helps to cinch down the load (by way of a scherer cinch) and bring the weight closer to the user’s body, rendering a more balanced weight. The dozens of accessible pockets make up for the lack of interior access. Additional gear loops provide further options to tack more on, if desired. There have been issues with the sternum strap breaking, leaving the Kelty Redwing 50 unbalanced and awkward. It can be fixed under warranty, but that can be a pain. It’s definitely a feature that potential buyers should look out for while examining the Kelty Redwing 50 in store. Overall, the Kelty Redwing 50 is a pack that is solid, moderately durable and lightweight. Some have complained that they would rather have a laptop sleeve than the hydration compatible pack. But, that is a judgment that depends on the users personal preference and desired use for the pack. Jack of All Trades: The Kelty Redwing 50 is designed to be versatile and flexible. It can do a little bit of everything, which makes it great for casual outdoor activities. With that being said, it’s not “great” at anything. Larger Than Most: While the hip belt can be removed when traveling, the shoulder straps cannot, leaving them exposed. It can fit a lot of gear, but the shape of the bag is wider than most. Unfortunately this causes the Kelty Redwing 50 to be larger than the standard carry on size when flying, meaning you’d have to check it instead. Attributes like this are important to consider when purchasing this pack. Good for Generalists: It has the ability to do many things, but isn’t top of the line in any fields. It’s recommended as a hiking and/or light outdoor activity pack. It can be used as a weekend pack or multi-purposed as a flexible day hike pack (one of the best day packs you will find). The Kelty Redwing 50 is great for people who want the ability to do lots of different things on a casual basis. If you are looking for a travel pack that can alternate easily between the city and the outdoors, the Kelty Redwing 50 is an excellence backpack for you to consider. It is highly recommended that a rain cover be purchased along with the pack if you are planning to use it for more outdoor related activities. This will just ensure that if rain or wet environments present themselves, your gear will be protected and dry. However, if you are looking for a heavy-duty pack to take on more intense trips, you may want to think twice about getting the Kelty Redwing 50. While it is durable, its design doesn’t compliment a rougher terrain. A larger and more durable pack would suit those needs better. The Best Pricing? I’ve seen it at this listing for consistently lower pricing than elsewhere.